Welcome to Waukesha Pediatric Associates, where patients & families come first and where our pediatricians work together to provide exceptional medical care to children and adolescents. We are an independent physicians practice and have been serving children and their families in the greater Waukesha County area for over 50 years. We are glad that you have chosen our office and look forward to having you as a part of our practice. Each physician in our office has his/her own patients. It is possible that you may not see your child’s own pediatrician every time you have a medical need. Each physician has one or two days off per week along with vacation and education time away from the office. The other physicians in the practice will be happy to see your child in your own physician’s absence. We strongly encourage you to schedule your child’s regular check-ups well in advance to ensure that you can see your own doctor. 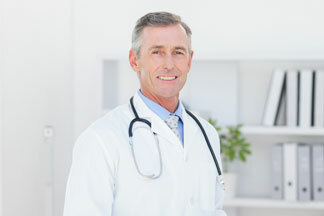 There is a physician on call at all times, including evenings and weekends. All of the physicians in the group are board certified in pediatrics and all are fellows of the American Academy of Pediatrics. All physicians care for newborns at Waukesha Memorial Hospital. Our older patients who require hospitalization are cared for by the expert hospitalists at Children’s Hospital of Wisconsin. We know how hectic life can be and are committed to making our practice convenient and accessible for your family. We want you to feel confident that when you choose Waukesha Pediatric Associates as your child’s primary physician, you’re working with professionals who are qualified, experienced and caring. We do this by equipping you with the support and resources you need to make the most educated decisions about your child’s health. If you ever have any questions or concerns please feel free to convey them to one of our staff. All professionals at Waukesha Pediatric Associates maintain the highest levels of accreditation and pursue ongoing education to stay abreast of the latest trends in the medical field. Learn more here.